Is organization/agency requesting funding a tax exempt I.R.C. Section 501(c) (3) organization or a governmental entity: If yes, a copy of the organization’s I.R.C. Section 501(c)(3) determination letter from the Internal Revenue Service or evidence of the organization’s status or a governmental entity must be attached. A copy of financial statement(s) for most recent year shall be provided. Please submit your most recent Form 990 or Audit Report. We request the provided information include a detailed balance sheet and income statement for the most recent completed fiscal year. Does your organization serve individuals located within the service area? Does organization/agency serve outside above named counties? If yes, please provide information on number served and location. State Purpose of Organization/Agency Request (include amount requested and specifics of how funds will be used). Please include detailed invoices, quotes, or purchase orders to support your funding requests if available. If the organization has sufficient resources (cash/investments/other current assets) to complete the project without additional funding, please explain why these funds are unavailable to be spent. How are organization’s/agency’s programs measured for effectiveness? 501c3 determination letter or documentation demonstration organization is a government entity. Detailed financial information as described in Item 7. Copies of invoices, quotes or purchase order supporting projected expenditures.  The information contained in this statement is for the purpose of obtaining funding from The Energy Cooperative Round Up Foundation, Inc. on behalf of the undersigned. Each undersigned understands that the information provided herein is used in deciding to grant funding, and each undersigned represents and warrants that the information provided is true and complete and that The Energy Cooperative Round Up Foundation, Inc. may consider this statement as continuing to be true and correct until a written notice of a change is provided. The Energy Cooperative Round Up Foundation, Inc. is authorized to make all inquiries they deem necessary to verify the accuracy of the statements made herein. Please note that for the organization or agency who receives funding: 1) The Energy Cooperative Round Up Foundation, Inc. publishes the name, amount and purpose of funding granted. You may also be asked for a photograph for public relations purposes. 2) We also ask that you provide the Foundation with information to substantiate the use of funds awarded, such as copies of invoices, pictures of equipment purchased, or a statement describing specifically how the funds were used. * In extreme circumstances and by a vote of the entire Board, this amount can be increased.